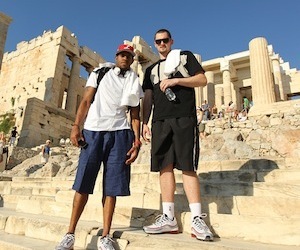 Team USA is on a tour in Greece to take on the Greeks in a great preview for the World Championships in Turkey. The game will be streaming on LIVE on ESPN3.com (12:00 pm EST) and on ESPN TV (12:00pm EST). More live streams will be posted soon.